The Life of Bon: Holiday Giveaway La-la-la-la-la-la-la-la-la! The peeps at Blogger keep harrassing me. You see, they want me to keep track of my so called "followers". They are constantly sending me reminders and notifications. They won't let it go. Won't let it drop. "YOU NEED MORE FOLLOWERS!" They tell me in every email they send. "Readers often visit a blog and enjoy it but fail to return. With the followers widget you can get all readers to return and become a fan. We highly recommend that you write a post about your followers widget and encourage all readers to become a follower." Sheesh. Those people heading up the Blogger business are kind of bossy, don't you think? In any case, I'm obeying them. There are a couple of reasons for my obedience, the main one being that I almost always obey authorities who own multi-billion dollar businesses. I just think it's a good rule of thumb. Here's the catch though. I like to think I'm a hair smarter than those folks over at blogger. I know that if I was a reader I would read this post, think "I'll have to follow that blog" and then close the window and go about my day without ever thinking about it again. Once upon a time I read the book "Freakonomics" and the one thing that stuck with me after reading that 300+ page beast was this: People respond to incentives. AKA. You will become a "follower" if there is something in it for you. So I'm offering a little incentive. Wednesday at 5:00 pm I am going to hold a drawing. Any person who is a "follower" of Life of Bon by that time will be entered into the drawing. Holler! ALSO... anyone who has posted the link to their favorite Life of Bon entry to their facebook wall by Wednesday at 5:00 pm will be entered into the drawing. (Make sure to tag me in the link so that I know you posted it and can enter you in the drawing.) Most popular posts are on the left side of the blog, and blog archives are on the right side. On the top right of the blog is a facebook share button. Just go your favorite entry and then click the share button. Easy as pie. If you become a follower AND post the link on your facebook page, you get entered into the drawing twice. Double holler! There will be two winners of the drawing. 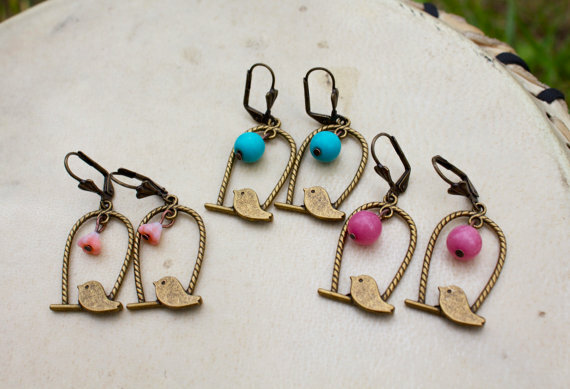 The winners will get their pick between two sets of earrings (a stud and a dangly) or a necklace from Mia's jewelry line. Go to her website to check out which jewelry you like because if you win you get to choose what you get! The pictures above are just a few of many. If you are not in to jewelry, then it makes a GREAT Christmas gift. 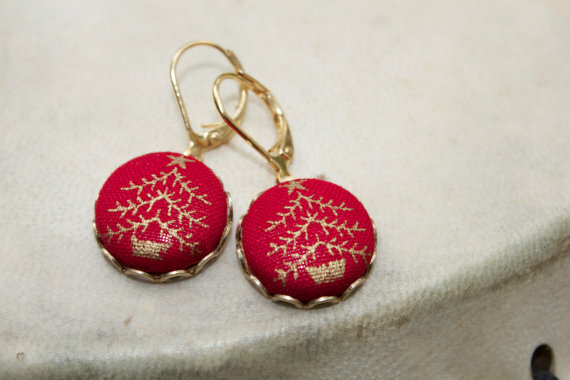 Surely there is someone on your list who will love a new pair of earrings. If you are not in to jewelry and you are not shopping for anyone who likes jewelry, then it looks like we're S.O.L. But you should still follow the blog because you are awesome and I am awesome and people who are awesome should stick together. One last thing. 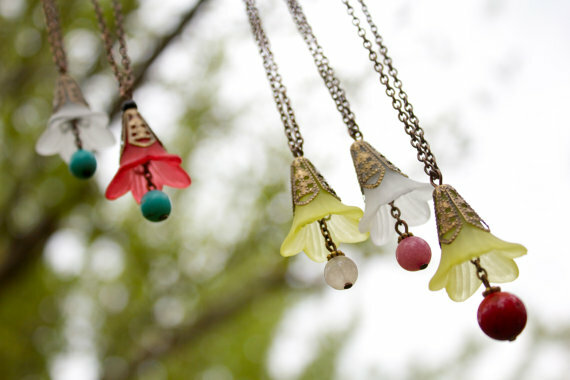 As an extra incentive, Mia is offering 30% off of her jewelry to any of my "followers"/ blog readers/ friends. So check out her website, buy some jewelry, and when going to the check out, just type in "lifeofbon" to the discount/coupon box to receive the 30% off. No caps. No spaces. Just lifeofbon. So.... now that you have read this post, scroll up to the top right of the page and click "Join this site" to become a follower. Easy as pie. Then go to your facebook page and post the link to your favorite entry. Then sit back and enjoy your life while you win the giveaway and get free jewelry mailed to you. The winners will be posted Wednesday night, and the prizes will be mailed on Thursday! Alright, now Blogger, I've offered them everything I can. Will you get off my back now? Please.